Earlier this year, Gord Downie—lead singer of prolific Canadian rock band The Tragically Hip—announced that he’d been diagnosed with glioblastoma, an incurable form of brain cancer. 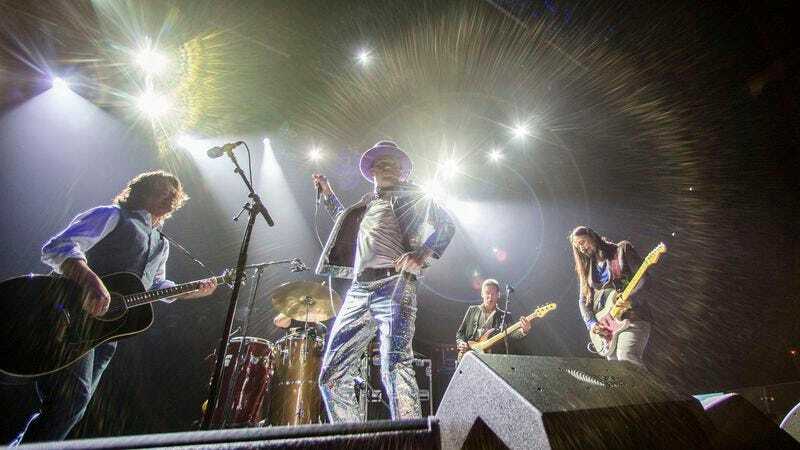 At the time, though, Downie also announced that he and his bandmates were refusing to allow his illness to keep them from playing together, and that, with his doctor’s consent, the Hip would be going out on tour this summer, in support of its new album, Man Machine Poem. Today marks the final show of that 15-stop Canadian tour, finishing in Kingston, Ontario, where the band first got its start more than 30 years ago. To commemorate what will likely be the last show by one of Canada’s most beloved bands, the CBC has announced that it’ll be live-streaming the concert tonight, Saturday, August 20. You can watch it here, with footage starting at 8 p.m. Eastern, and the concert itself starting at 8:30. The CBC secured the streaming rights for the shows after The Man Machine Poem Tour sold out pretty much overnight, with the band’s fans clamoring for a final chance to see the Hip in concert. The group is one of the country’s most celebrated rock bands, with more than a dozen Juno Awards to its name, and was recently celebrated on a Canadian postage stamp alongside other beloved rock bands like The Guess Who and Rush.